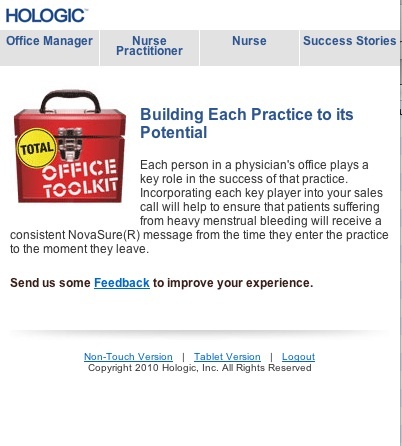 piXvfm has created a sales enhancement tool for Hologic called the Total Office Toolkit. This is a web-based tool that looks like an application to the Blackberry user. It has a launching icon that sits on the user's Blackberry Home page. 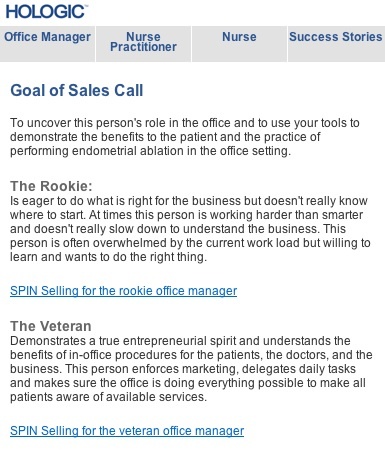 The site is a sales enhancement tool that has guides for the "detail" salesperson to help with each type of sales call. The site also has a library of pdf and website assets that can be forwarded to the customer easily from the Mobile tool.